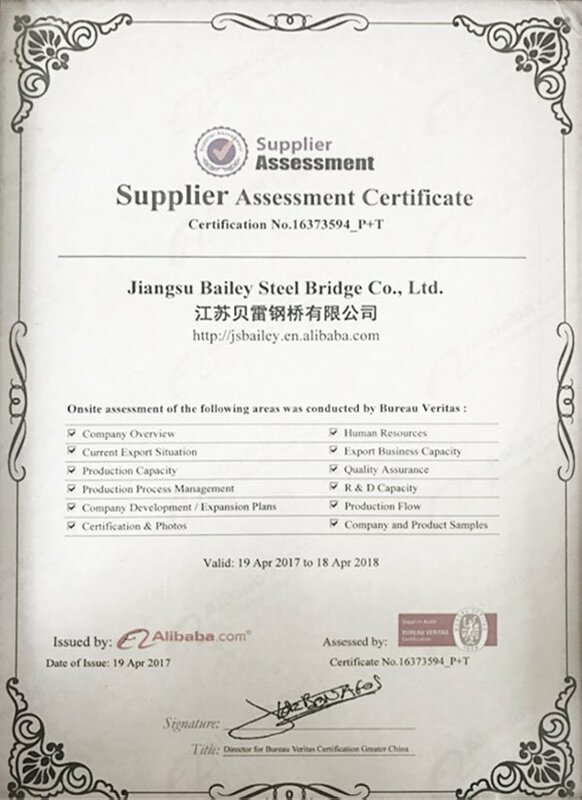 Bailey Steel Bridge, HD200 Type Bridge, CB321 Type Bridge – Jiangsu Bailey Steel Bridge CO.,LTD. 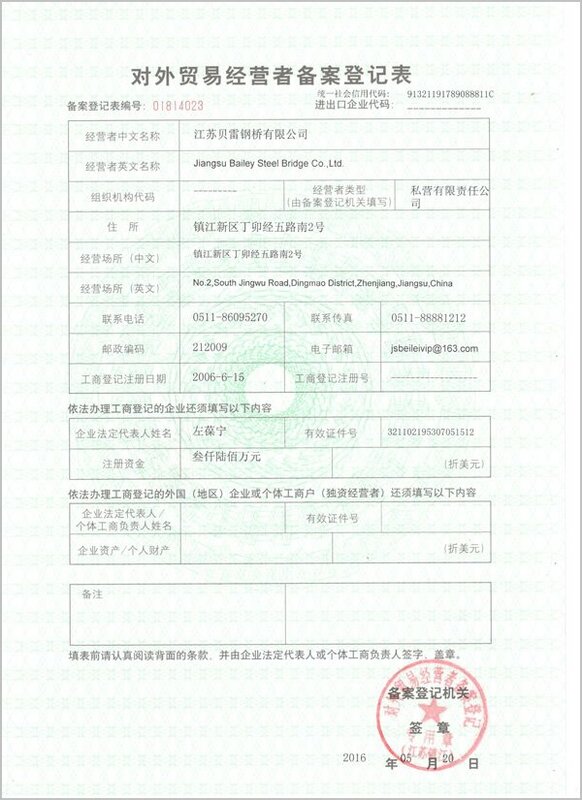 JIANGSU BAILEY STEEL BRIDGE CO., LTD.
Jiangsu Bailey Steel Bridge Co.,ltd. 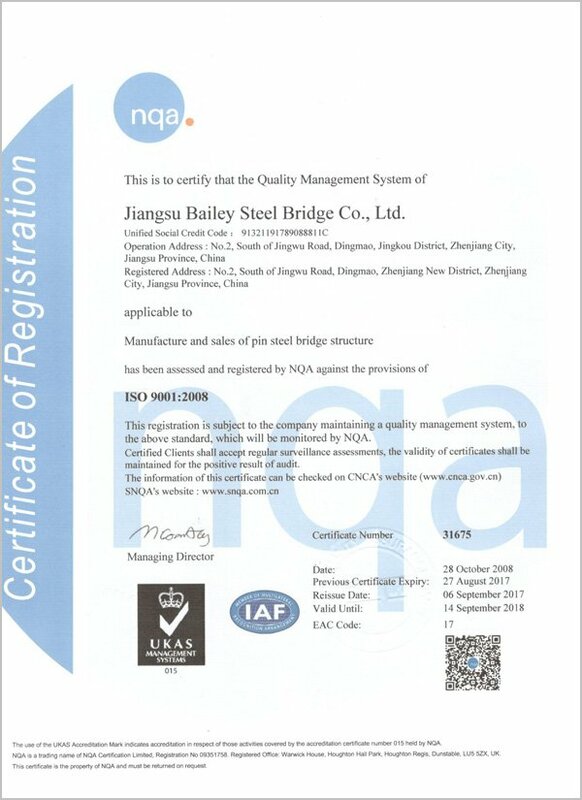 is a specialized Steel bailey bridge manufacturers with leading manufacturing process for Steel bailey bridges in China, who has been engaging in this line for 20 years with an International Quality System Certification of ISO9001:2008 and as cooperation partner with the research institutions of the People's Liberation Army. Company with the business philosophy_"Honesty, cooperation, innovation, success together", welcome friends all over the world to work hand in hand with us to create a better tomorrow! 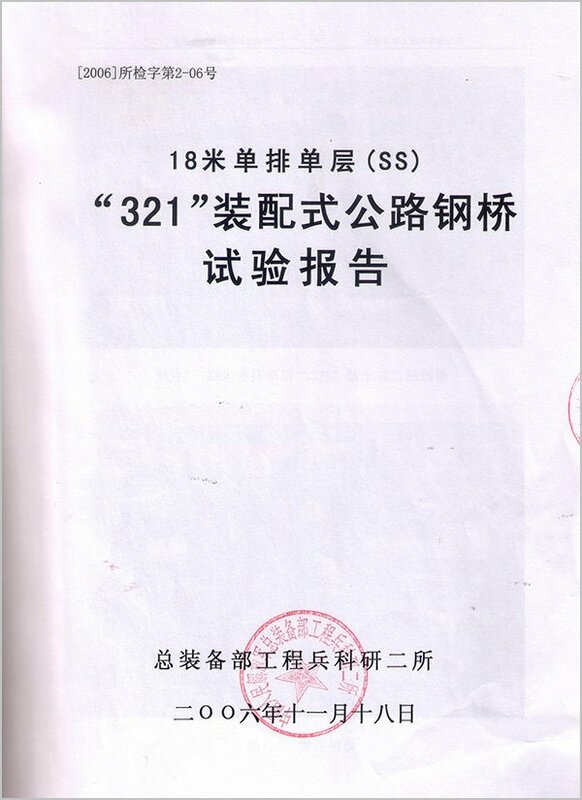 divided into two types: 321(100-type) Bailey bridge and HD200 Bailey bridge. 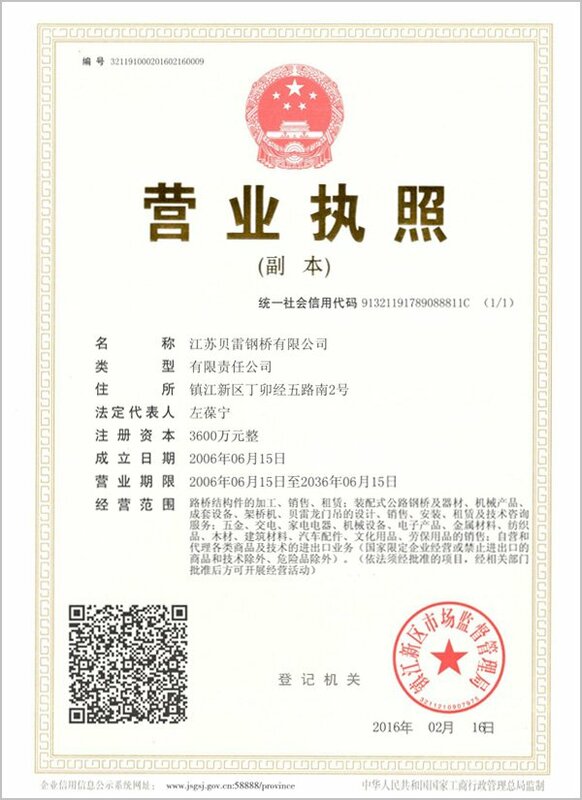 We are a specialized steel bailey bridge manufacturer with leading manufacturing process for steel bailey bridges in China,who has engaging in this line for over 20 years with an International Quality System Certification of ISO 9001:2008 and as cooperation partner with the research institutions of the people’s Liberation Army.We also have good market reputation overseas,like Nigeria, Angola, Congo,Cambodia, Nepal, Venezuela, Vietnam,Bangladesh,Papua New Guinea and so on. Are you a factory or a trade company? We are a factory with six production lines and various machines to fabricate steel bridge parts and other steel structures also. 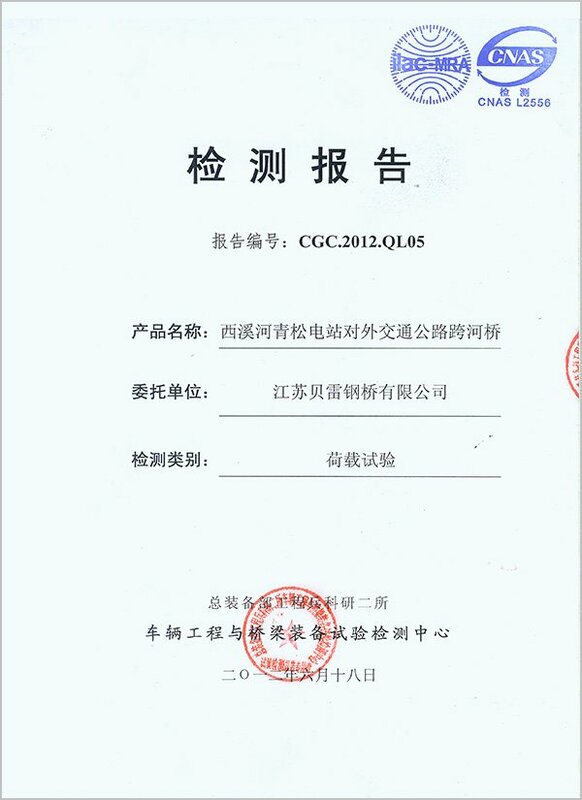 We also have gotten exporting license to devote ourselves into global market. How about quality control of your company? 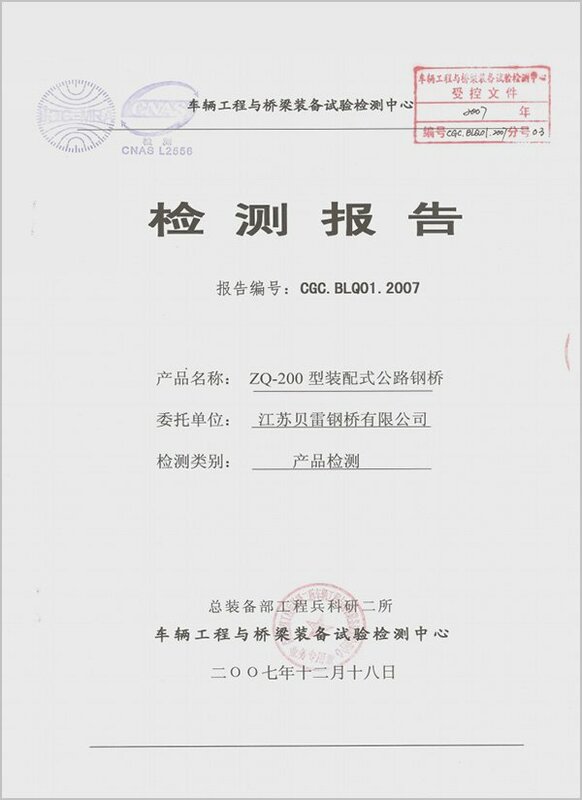 We pay great attention to quality control from the beginning to the end,keeping goods to meet the standard of CMA,CNAS,ISO9001,Grade I road,Grate A urban road,America loading standard HS25 and British loading standard HA.